Though most of us demand results and conclusions immediately, it can take years to determine whether or not a team struck gold or missed the boat on a draft pick. Or at least that’s how it works in most cases. 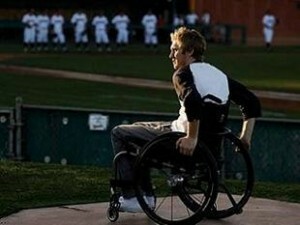 In the case of the Arizona Diamondbacks and their 34th round selection Cory Hahn, we already know they hit a home run. A very long, powerful and memorable home run. As you’ll learn if you read through Manuel’s piece, there’s very little doubt that Hahn had the tools and the ability to mold himself into an early round selection during his time at Arizona St. And this would have been his big year, too, as the 2013 Draft officially marks his third year out of high school. When a player elects to go to college, that three year waiting period comes into play, so this is definitely the draft he would have been looking forward to as he continued to polish his skills. That’s just one of the many reasons Arizona’s decision to select Hahn on Saturday is an incredibly awesome gesture. Another is explained by D-Backs CEO and team president, Derrick Hall. As if the story needed another special touch, selecting Hahn in the 34th round certainly provides it. Simply put, this is a remarkably unselfish sacrifice of a draft pick and an equally inspiring effort by the D-Backs, which plays right into Hahn’s mission post-injury. His aspirations now are to inspire the uninspired, and there’s no better way to get that message and his story across than by making his dream come true.